Uncle John's RV Park is helping you find friendly locations in areas we do not serve. The following facilities are NOT associated with Uncle John's RV Park! Frank was very polite and helpful! Great experience coming in to look at units, I felt at peace trusting them with my stuff! We signed up today, Frank was Great! He'a very professional and knowledgeable. Was a really great and easy experience, plus we got a great deal. Rented from previous owners and had no issues getting what I wanted this time! Staff is great and has returned all calls promptly! Clean place with very nice staff. I recently rented a storage unit from Chris who was very kind, patient, and gave us a great deal! Additionally, the prices are some of the best in town. I highly recommend this storage facility. Nothing but great experiences and professional interactions. Overall, I highly recommend this place if you're looking for storage solutions for yourself, your business, or your family. They are very friendly,professional and nice! I recommend them to anyone! Extremely professional and throughly explained the contract. They also walked us through a few storage areas in order for us to choose the correct fit. I would highly recommended Chris & Frank. Very friendly, helped a bunch very clean and had nice units! My son rented a small enclosure over a year ago from US Storange on River Rock Blvd in Murfreesboro. Today and for the past year, we have had 2 large enclosures AND the small one. This facility is very clean, each enclosure is kept at a good temperature, our contact keeps a close eye on each individual storage space and our contact person is a very good business man. We appreciate his help, honesty, and concern. This young man needs an award. This place rocks the staff super friendly and knowledgeable over all great experience. Lovely storage place. Super friendly staff. I highly recommend. Frank was very nice& polite. Answered all my questions and found the best rate & storage for my needs. My experience was great! Frank helped me out and literally had me in and out in less than 20 minutes. Very friendly and pleasant. 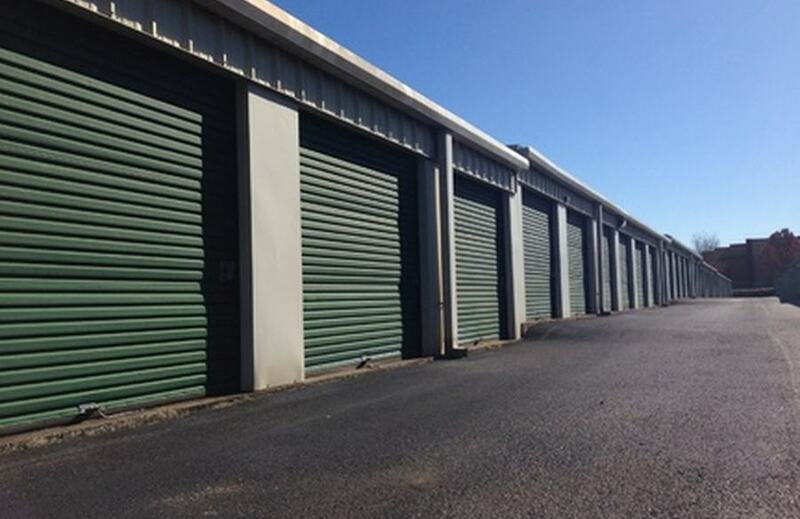 If you are looking for a storage place where you receive EXCELLENT customer service and clean environment then I would highly recommend you visit US Storage. Chris and Frank are very professional and very knowledgeable about what they are doing. Regardless of how many questions I asked they took the time to answer all of them. They treat all their customers with the same importance, with a friendly and helpful attitude. They are very helpful in helping the customer make the best choices for them (the customer). Thanks Chris and Frank for the phenomenal customer service. You guys are AWESOME! One of the staff Chris went out of the way out of his busy day to give me a detailed tour of the place. I was surprised i got this service at a storage company, it was great. The atmosphere was extremely great the facility was very clean i liked the security gate which requires a code to get access to the place makes me feel comfortable and secure storing my life items at the facility. There are cameras everywhere so a plus for me and a on site manager named Frank . I would most def recommend these guys for all your storage needs very professional and great prices with managers special on all different sizes plus they sell all your moving and storage supplies like locks boxes packing tape and bed mattress covers. I will be using US Storage in the future for my storing needs. US Storage is very professional and knowledgeable in the industry as being a consumer and calling around looking for a storage unit to store my household items. They offered security with a fenced in property with a security gate and 24/7 cameras with a manager that lives on site that makes me feel very safe that my belongings will be in good hands. The manager Chris was very nice offered me a tour to see the facility and look at the unit to make sure it is the size that will fit my needs which i thought was very cool. US Storage was the first place that popped up in my google search so it deserves the top place as I will be using them in the very near future to store. Oh did I mention they offer a FREE Move in Truck for new customers that is one of the best offers from a storage place plus locks and moving supplies like boxes they have it all. Very nice staff, Chris was super friendly and helpful. Above par, clean and safe. Even the other people renting units here are very friendly and courteous. I'm quite happy with my choice to rent here. There was a sign for 1/2 off first month for the 10x10s, but I was given a discount for the 7.5x10 as well, which helped tremendously because moving is expensive! Excellent customer service!! Definitely recommend! Very secure! Great prices and the ability to use a free moving truck! Great location right off 24. Friendly staff and clean, safe location. Best customer service in town! Frank took care of everything I needed and answered all thousand questions I had :) will definitely tell everyone I know about this place above the rest! Great prices, conveniently located, friendly employees! Great overall experience! I was haven the worst time in me an my wifes life . An miss andi saved ower day an mother endlaws too. I had a good experience with US Storage Centers. Frank was very professional and easy to work with. He answered all my questions and clearly explained the system of working with them. Also, loved the storage truck promotion -- a great value to help move things for people who don't have a truck!! Great experience. Karen was professional and thorough in explaining the contract, procedures and rules. The experience extremely pleasant. Karen was fantastic in explaining and showing me the space. Will use again in future. Karen was very personable and helpful. This was my 1st experience and she profressionally guided me through the process. Very good experience. Good rate and friendly staff. It was a quick and easy process. Great storage facility! Friendly and courteous staff. I am very pleased with this US Storage location. 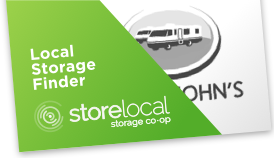 I needed a climate controlled storage unit and their pricing was better than any other storage facility. The manager was very nice and helpful. I highly recommend this location. Karen is the best! She is so helpful and sweet. Great place to use when you need a place to store stuff. Excellent and friendly staff. Very friendly and helpful. I would recommend this place. Gotta love the climate controlled units. Helped us quickly and efficiently. Great deal and extremely well maintained and clean area. Excited to start storing! Karen at US Storage Centers on River Rock was awesome! 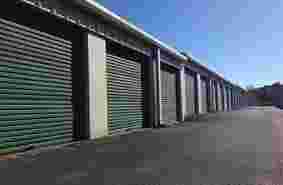 I recommend US Storage Centers for anyone looking for a storage unit. Fair prices and nice units! The young lady named Angela, was very sweet. I was in bit of a rush, but she took the time to explain every detail and assist me within such short time. I highly recommend that when youre looking for storage you contact her. Great services. I highly recommend this company. The facilty is very clean, smelled so fresh inside. The office and the restroom was spotless. Angela was very nice and she helped me and my wife out tremdeouly. We never used a self storage but she mad is very easy. Went to RedCarpet that was just built and the lady went out to lunch as soon as I got there. The guy literally told me to come anytime and when I did she did that. I came here to US STORAGE and the man who helped us, Frank, was very friendly and even beat the other guys price and its a bigger unit. Very happy customer. Frank was so helpful and pleasant! 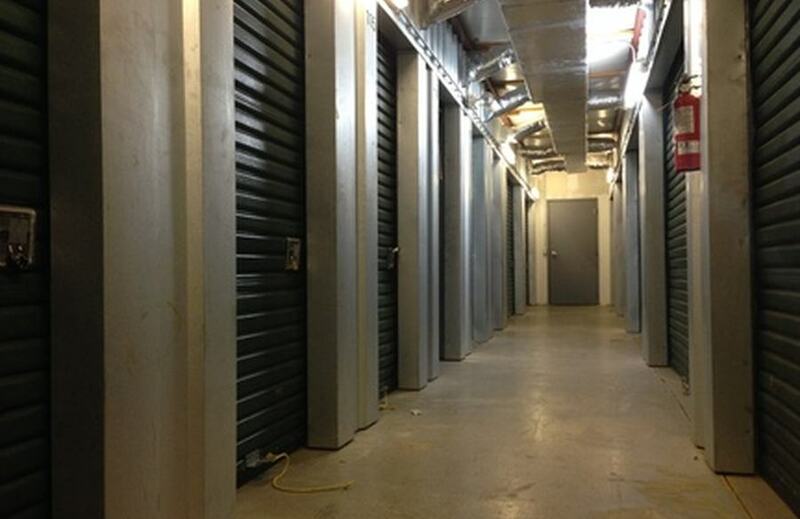 We were able to get a clean, large storage unit in just a matter of minutes with a great deal. Great experience and service. Would recommend to my friends. After reading all the great reviews on here I told myself Im going to see this Angela lady because everyone was speaking so highly of her and her service. Well, I can honestly say that everything was very true. Shes very knowledable and have AWSOME people skills. She made the process so easy and quick. This is a great place to rent a storage unit from. Karen was incredibly friendly, and she helped make the renting process so easy. I highly recommend! Got a storage unit yesterday when I got into town. The staff were extremely pleasant and helpful and made sure I understood everything and gave me a great deal! Very satisfied with the customer service I received and will definitely recommend them. Had the pleasure of working with Angela and she was awesome. Really good customer service and answered every question I had. Frank and the entire staff was very helpful and professional. Competive rates and service above and beyond others. I highly recommend them and happy to give them a five star rating!! Magda was wonderful! She was efficient, professional and expedient. Unit is clean and everyone is great to work with! Would recommend. Very nice and understanding manager and employess..i recommend this storage facility to anuone . Great service and rates. Free move-in truck is a plus. Units are older but seem to be maintained ok. It was ok. The lady at their call center told me UPS could deliver straight to my unit which is why I picked this company. However, once I got there the lady filling in for the day made it a big deal and had to text and call the man who actually works there to find out if it was possible. She was nice though; just a hassle. I also didnt get my receipt emailed to me for the 30 some odd dollars I paid that day. Unit looked nice and its fairly cheap compared to other areas. Just didnt see professional or that they knew what was going on. Can't fully hate it because the gentlemen that work there are very friendly and helpful.....however with that being said if a women name karen is there RUNNNNNNN!!!!!!!!!! She is completely unhelpful and rude. Didnt answer any of my questions or concerns even when SHE CALLED ME WITH A COURTESY CALL!!!! I am beyond myself with the treatment I received from her and when I asked to speak to her boss she responded with well they are not my boss and said they would call me back however they never did so I am assuming she did not relay the message, save your money ladys and gentlemen go with mobile attic instead!!!!! I didn't enjoy my experience with them at all. I will never go back. Reserved a 5 x 5 online for son's dorm stuff. Checked in a day before move date to secure the unit and was told there were no units available until the next day and they would call. Staff didn't call at all the next day. I had to call 3 times. Bottom line is there was no unit available when I reserved it online. We had to scramble to find another unit somewhere else. NOT Happy with US Storage. Horrible storage facility. Had a unit there for a year. They would increase the monthly price almost every month. We I initially rented it was $120/ month by the end of the year the price had inexplicably increased to $180. Not to mention the horrible infestation of brown recluse in their units. 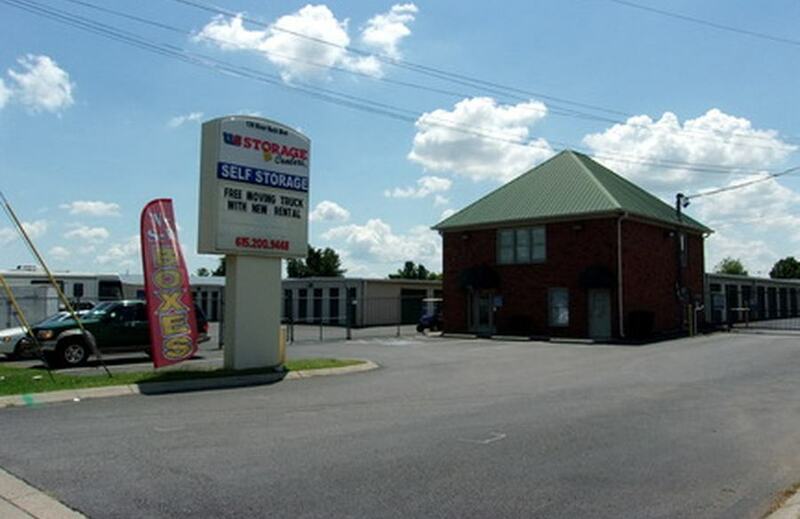 If you are interested in a storage unit on this side of town please go to Salem Glen Storage. Great facility, locallly owned, and cheaper as well.